All racing in Britain on Thursday was cancelled late on Wednesday night after three cases of equine flu were confirmed in a stable that had runners at Ludlow and Ayr on Wednesday. The meetings scheduled for Chelmsford City, Doncaster, Ffos Las and Huntingdon were all called off by the British Horseracing Authority at about 11.30pm in an attempt to stop the potential spread of the highly infectious disease, from which severely affected horses can take months to recover. 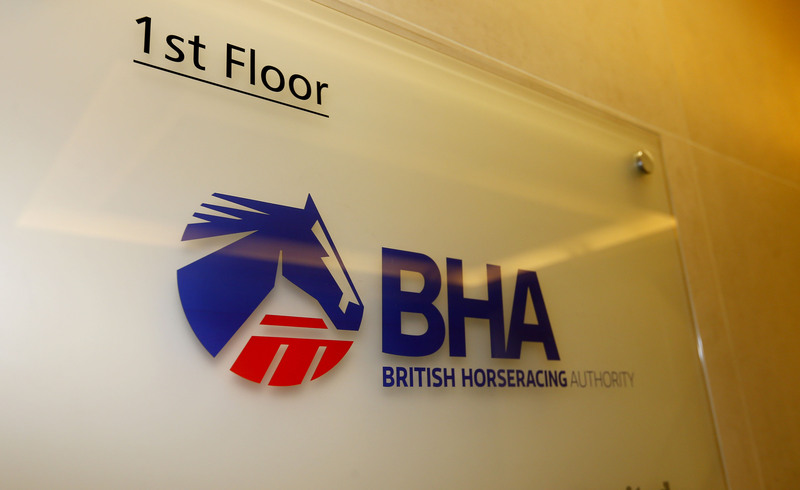 The BHA pulled the plug after being informed by the Animal Health Trust (AHT) of three confirmed cases of equine flu from vaccinated horses in what it described as "an active racing yard". It did not name the stable in question but did so, unwittingly, because Donald McCain was the only trainer to have runners at both Ayr and Ludlow. McCain's Raise A Spark trailed home last of four in the 2m handicap chase won by a Gordon Elliott-trained runner at the Scottish venue after being sent off at 4-1, while his Dry Lightening was pulled up in the 14-runner maiden hurdle at Ludlow after going off at 100-1. The Grand National-winning trainer, based in Cheshire, has had 15 runners in the past fortnight, including at Cheltenham's Festival Trials day last month. He has had one winner during that period. Racingtv.com can also reveal that on Monday the AHT confirmed two separate outbreaks of equine flu in Suffolk. One affected eight vaccinated two-year-old thoroughbreds that presented with coughing, nasal discharge and pyrexia. The second outbreak affected six unvaccinated non-thoroughbreds. It is unclear when racing will resume but the sport is effectively in lockdown and many more fixtures over the coming days, at the very least, will be in jeopardy. Newbury is scheduled to stage one of the biggest meetings of the winter on Saturday and the highlight of the whole jumps' season, the Cheltenham Festival, is less than five weeks away. That Flat turf season is also due to resume next month. The 2001 Cheltenham Festival did not take place after an outbreak of foot-and-mouth disease about three weeks beforehand. The racing calendar was affected for weeks. A statement issued by the BHA read: “The British Horseracing Authority (BHA), with unanimous support of the BHA’s industry veterinary committee, has taken the decision to cancel racing at all British racecourses on Thursday 7 February 2019. It added: “The BHA has worked quickly to identify which yards could have potentially been exposed today and identify the further actions required. The BHA is presently communicating with yards potentially exposed to ensure appropriate quarantine and biosecurity measures are put in place and horse movements restricted to avoid possible further spread of the disease. “The full extent of potential exposure is unknown and we are working quickly to understand as much as we can to assist our decision making. Equine flu affects horses, mules and donkeys and is caused by strains of the Influenza A virus. It is the most potentially damaging of the respiratory viruses that occur in UK equines and disease symptoms in non–immune animals include high fever, coughing and nasal discharge. The outbreak at the infected yard follows the identification of a number of equine flu cases across Europe and the UK, including several in vaccinated horses. After the recent outbreaks guidance was sent to trainers to inform them that all horses which have not had a vaccination against the disease within the last six months should receive a booster vaccination. Trainers were also warned to be extra-vigilant with biosecurity. However, equine flu can be highly contagious and – unlike other infectious diseases – can be airborne over reasonable distances as well as be transmitted indirectly, including via people. There are no known consequences for humans associated with exposure to the disease.